We're happy to announce our recent partnership with the Tujetsch Agency. We’re a locally owned and operated agency with three locations in Iowa and we deliver insurance and risk management solutions throughout the Tri-State area. 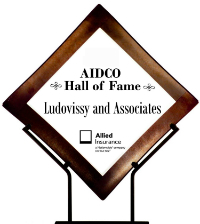 We’ve served individuals and businesses for more than 30 years and we believe in being the most informed insurers that we can be. We educate ourselves and we educate our clients, and as a result the people whom we serve get exactly what they need for the right prices. We have a wide variety of both personal and commercial insurance options, including home, auto, life, and health policies. Our business program can keep almost any commercial enterprise in Iowa or other states fully secure, and our policy options for specific industries can do the same. We offer robust programs for hospitality establishments and for contractors. Whether you run a restaurant or a bar and whether you’re a contractor or other, we can help you get the protection that you need. Also, we offer farm insurance, and through our farm program we provide the coverages that any farmer or agribusiness owner needs in order to stay secure and to run operations smoothly. To learn more about our offerings, see our products page. We combine policies whenever we can, and we’ll combine them for you. To find out about your options, speak with an agent. We work with a variety of A-rated carriers, so we can give our clients any coverage that they need. We perform on-site assessments if necessary and we’re local. Being local makes it easy for us to know the needs of the people we serve. We blend new technologies with personalized services, and as a result we give our clients the most streamlined and expedient experiences possible. We manage risk and claims and we’re reachable whenever our clients need or want to get a hold of us. 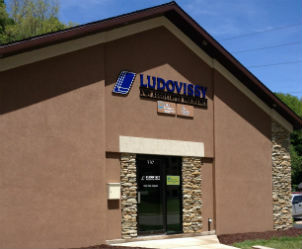 On October 1st of 2016 Ludovissy and Associates entered into a partnership with Tujetsch Agency in Guttenberg, IA. Mike Tujetsch and Brenda Burr are running our agency in Guttenberg and are gracefully handling all the changes that have come their way. On Your Side certification means a firm commit to stringent customer service standards. Our agents have undergone thorough training in order to be On Your Side certified and as a result these agents are valuable resources. Our agents know what clients need and they ensure that clients pay for only what they must.